Deep in the Osirian desert stands the blank-faced monument known as the Sightless Sphinx. 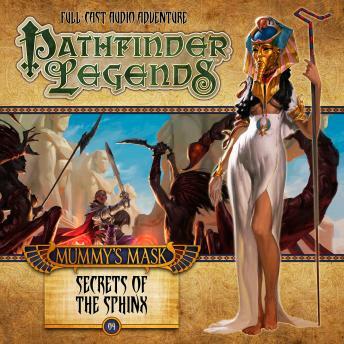 In search of the stolen mummy of Chisisek, the architect of the flying tomb of the Sky Pharaoh Hakotep I, Ezren, Harsk, Merisiel and Valeros track the cult of the Forgotten Pharaoh to its secret headquarters inside the sphinx. There they face monstrous mercenaries and servants of the demon lord Areshkagal before finally confronting the masked cultists and their leader, the Forgotten Pharaoh.